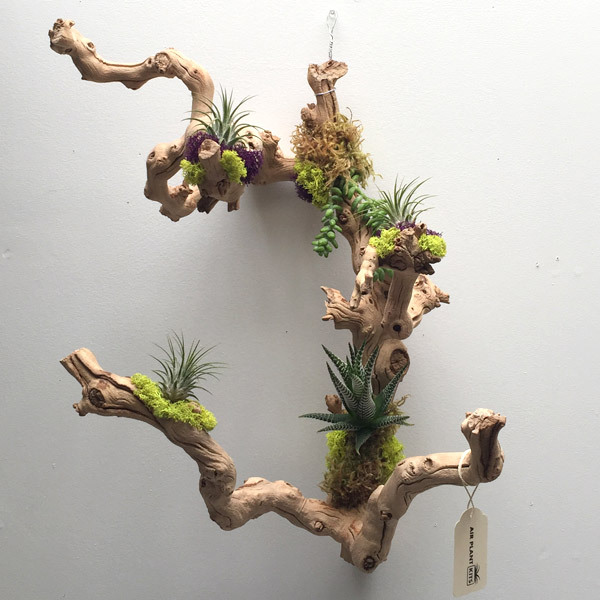 Bring nature indoors with these stunning, wall-hanging succulent arrangement kits. 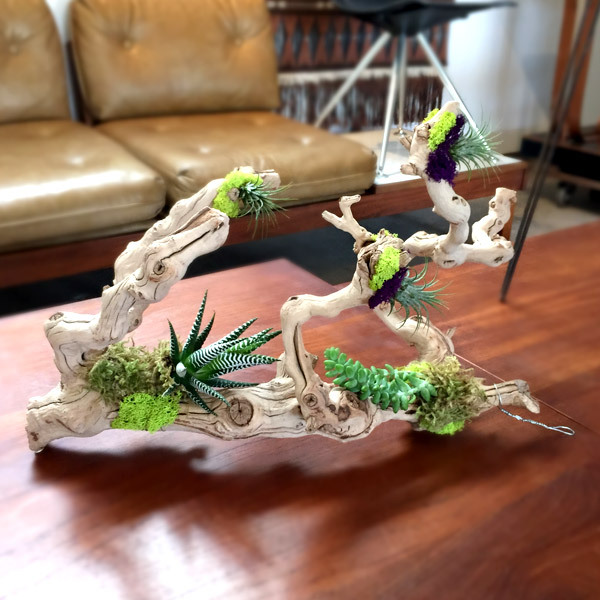 Each arrangement features multiple succulent plants mounted on sand-blasted grapewood (grape vine wood). 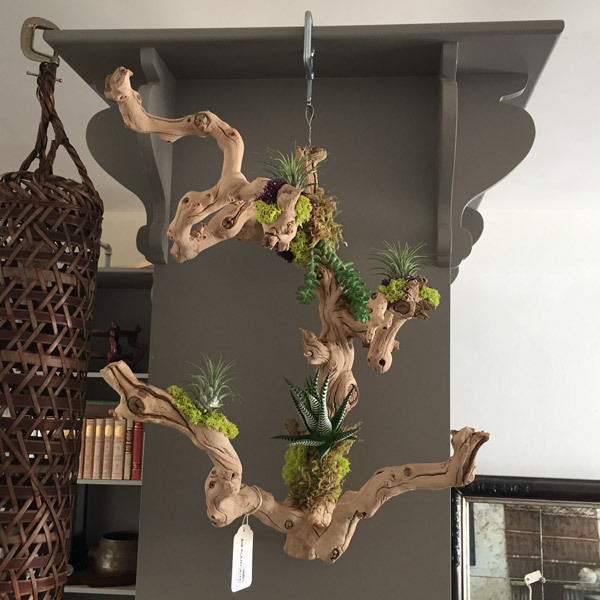 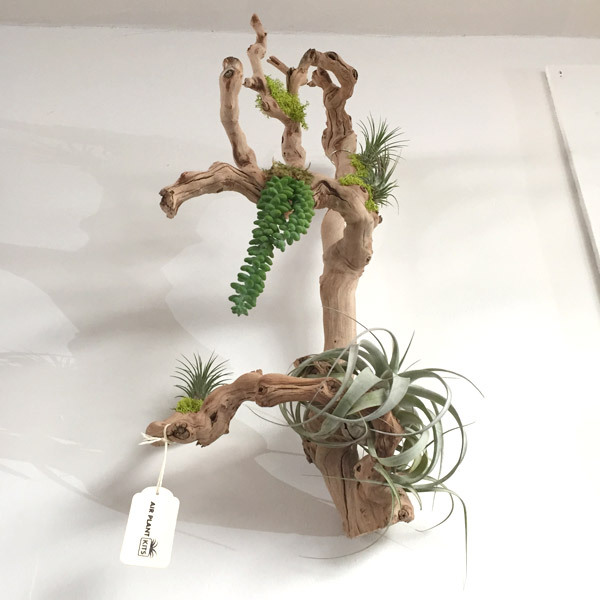 Unlike most tillandsia arrangements that use glue to mount plants down to the wood, these tillandsia air plants are attached to the grapewood branches with tiny, yet very powerful neodymium magnets. 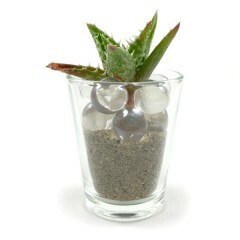 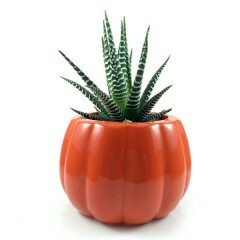 This allows you to easily detach the plants when you want to rearrange, water or replace. 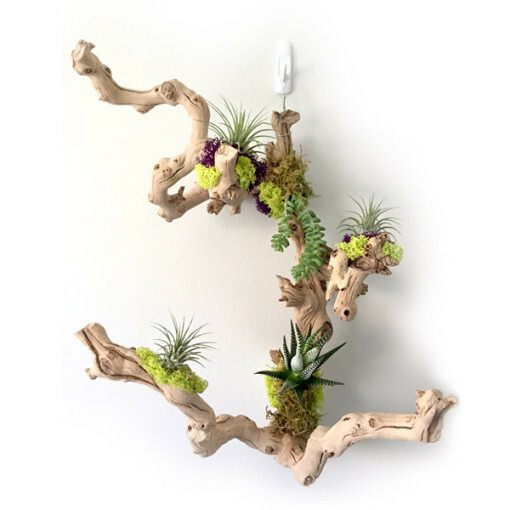 Tufts of preserved reindeer moss disguise the magnets from view. 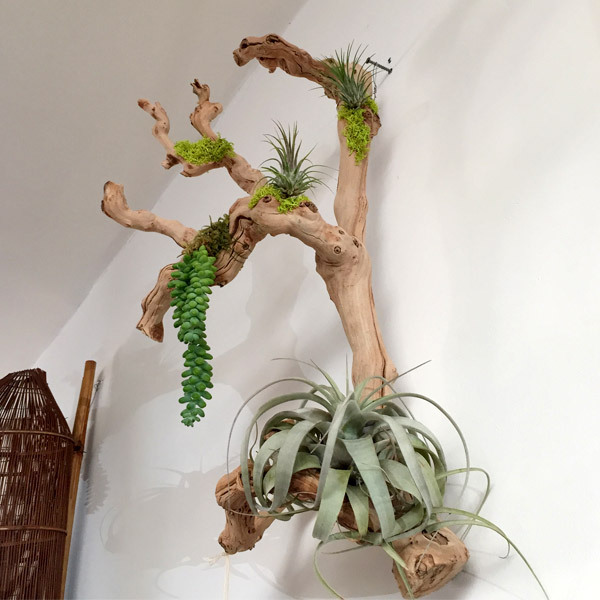 Watering is simple! 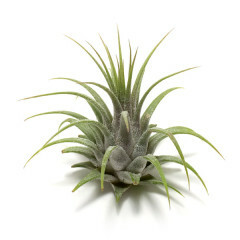 Just detach all the air plants and dunk them under water for a few minutes, then put them back in place after they have dried completely. 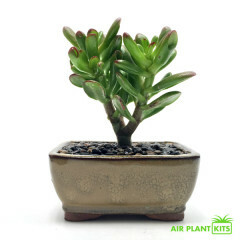 For potted plants, spray the anchoring green moss and water lightly by dripping over the top.